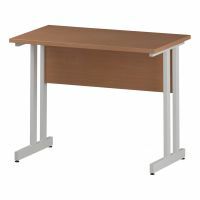 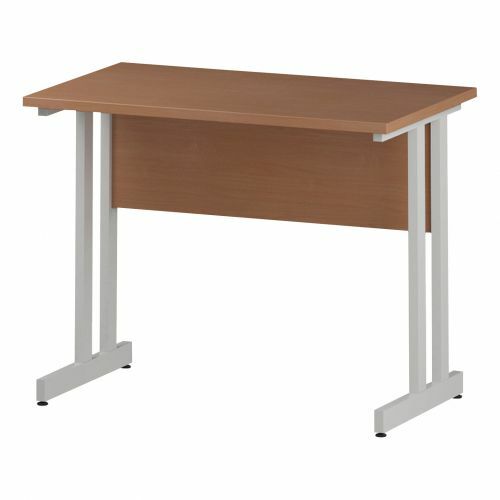 Cantilever framed desks are the default choice for many seeking the clean lines and strong performance characteristics of steel framed desking. 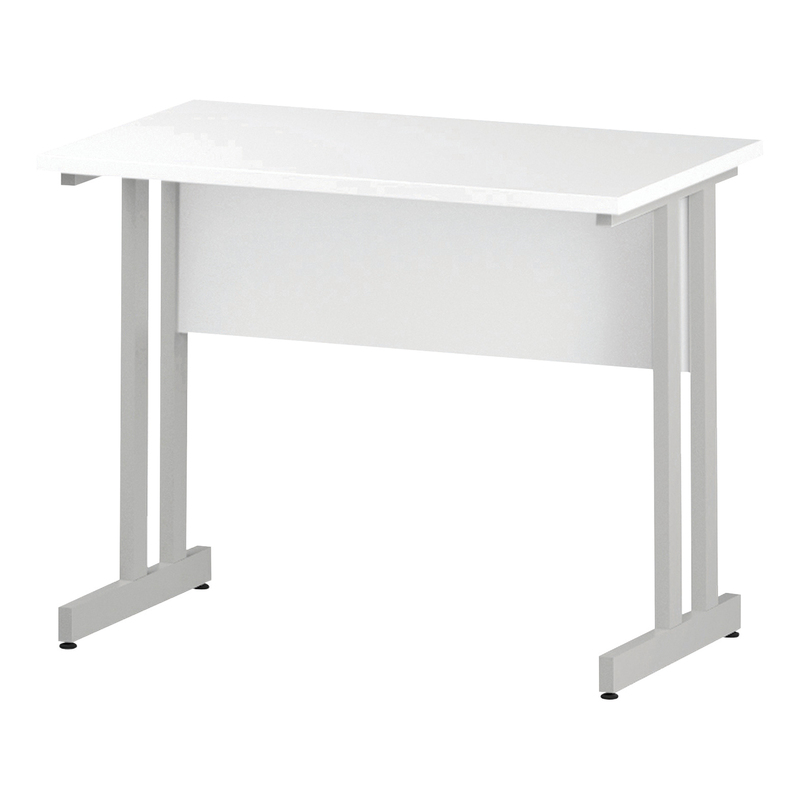 our cantilever framed desks are available in a choice of wood designs and a stunning white finish. A choice of two leg frame finishes are available, white or silver, and all have cable management ports and integral floor levellers. A robust and long-lasting desk favourite.